Former Meadowood resident, SSgt Norbert J. McGettigan, Sr. was the honoree veteran of the year at the veteran’s parade in Philadelphia. A beautiful evergreen wreath, with flags from every branch of service was presented to Norbert’s family in his honor and memory. Norbert served in the US Army from 1944-1947 during the World War II European Theatre 106th & 69th Infantry Divisions. He fought in the Battle of the Bulge and received the Combat Infantry Badge, Purple Heart Bronze Star, EAME Campaign Medal and three Bronze Stars. 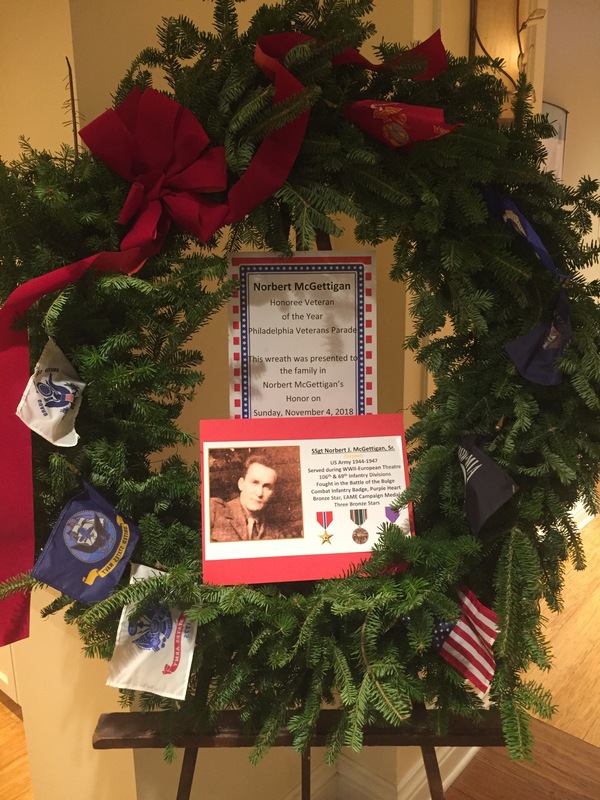 The wreath is on display for the Meadowood community to enjoy and learn about Norbert’s service. Norbert’s wife Doreen resides at Meadowood Senior Living. 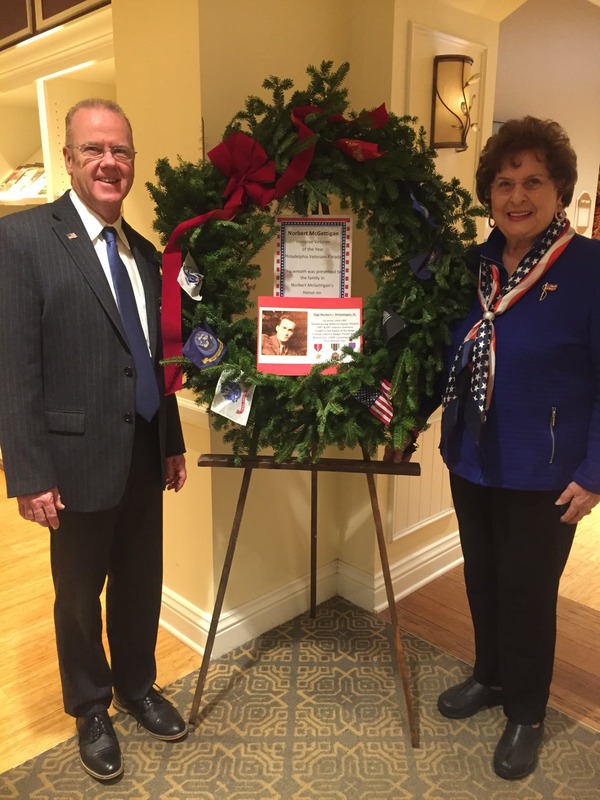 Paul Nordeman, President and CEO of Meadowood Senior Living and Norbert’s widow, Doreen next to the wreath.